The Limousin female trade topped at 26,000gns for Grahams Nikita from Robert and Jean Graham, Bridge of Allan. Grahams Nikita, from Robert and Jean Graham, Bridge of Allan, sold for 26,000gns. The 14-month-old daughter of Claragh Franco out of Grahams Coffee is a full sister to 10,000gns Grahams Lorenzo, 32,000gns Grahams Lilly and 38,000gns Grahams Natalie. The buyers were R. and A. White and Son, Bamford, Hope Valley. The next six top prices were all for heifers from Mike and Melanie Alford, Cullompton, Devon. Firstly, selling for 9,000gns was Foxhillfarm Natalie by Trueman Jagger out of Foxhillfarm Isla. It was knocked down to Cowporation BV, The Netherlands, which also bought Natalie’s ET sisters, Foxhillfarm Nicola at 8,000gns, Foxhillfarm Nellie at 7,000gns and Foxhillfarm Nannymcphee at 5,500gns, all from the Alfords. Foxhillfarm Nancy, also by Jagger but out of Bankdale Elizabeth sold for 8,000gns to M. and J.C. Gould, Shrewsbury and Foxhillfarm Nextmillion, again by Jagger and out of Bankdale Alice made 7,000gns to Helen Wilson, Carlisle. 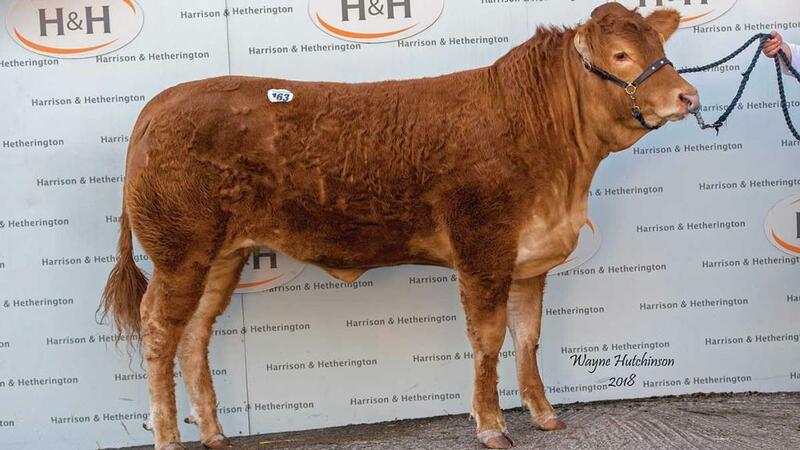 Grahams Marigold, a Kilcor Iceman daughter from the Grahams sold for 5,500gns to an undisclosed buyer. 1 cow, £2,310; 14 served heifers, £3,307.50; 59 maiden heifers, £3,691.02. Previous Article Screen time evolution: Can one control terminal do it all?